Document Scanning has become a way of life in the business world, and has only grown over time. Creating digital copies of important documents and business files gives us a chance to eliminate some of the costly paper trail that accumulates throughout an office over time. So many companies are transitioning to a paperless office- it gives them a chance to optimize their document management program and re-organize how they maintain, edit, and update commonly used files. The days of filing rooms and dozens of rows of filing cabinets might finally be coming to a close. Not only has paper scanning become easier and more convenient- now, when you scan a document into an electronic document management system, it’s indexed instantly based on criteria you select, and any text can be made editable through optical character recognition. Going digital also gives you the ability to access files whenever and wherever you need them. You can create secure connections worldwide, which allows businesses, employees and individuals the ability to communicate and collaborate in ways they never could before. Medical Practices – Whether you are a single practitioner or a hospital we can help. We will digitize your medical records and help you move them to electronic health records (EHR). We can even handle the data capture to make the integration seamless. Legal Firms – It may be for an inquiry or you might just want to streamline your records storage. We can scan on site if required at the offices of your client, or opposing counsel. Accounting Firms – Maintaining client files can become costly and is not an expense that is easily passed on. By moving records to a digital system they can be quickly found in the event of an audit. Architecture Firms – Large format scanners can handle engineering drawings and blueprints. Now plans are available and easy to find without maintaining a hard copy library. Scanning for Electronic Document Management Systems and More! Have a lot of document scanning to do? Let Record Nations Help! 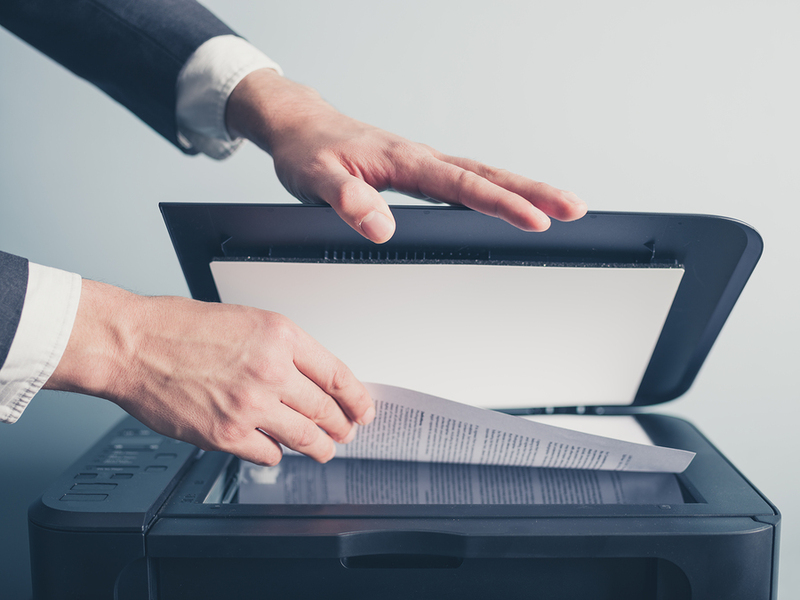 Whether you choose to do it yourself, or you are looking for a professional scanning company to help you digitize your office, our experts are here to help! Let a professional, secure company and staff take the hassle out of your records scanning project. Record Nations has the manpower to quickly perform the indexing, scanning, and post production work, which includes conversion to text via optical character recognition (OCR) software. This allows you to edit the documents, or redact private information to protect your patients or clients. Give us a call at (866) 385-3706 or fill out the form to the right. Within minutes, you will receive free quotes for contractors in your area that can help you.